By Peter Alguacil, on 11.2.2015. 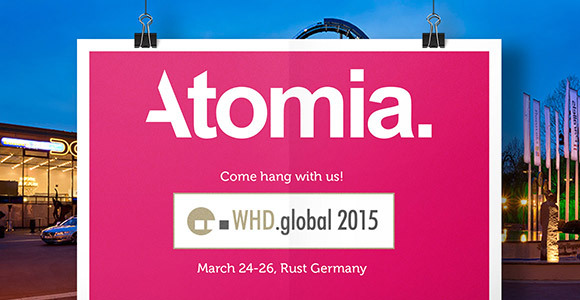 WHD.global is the world’s premier hosting industry event, so of course Atomia will attend. We’ll have a nice, big booth, so come hang out with us. To make it even more of a no-brainer to attend, we have a code you can use to get free WHD.global tickets. By Peter Alguacil, on 10.2.2015. You can run Atomia on your own infrastructure, but you may remember that we recently partnered with Canonical to give you the option to also have a fully managed OpenStack cloud to run your hosting business on. It can be a very convenient alternative for many companies. Now on February 17 it’s time for an OpenStack webinar.